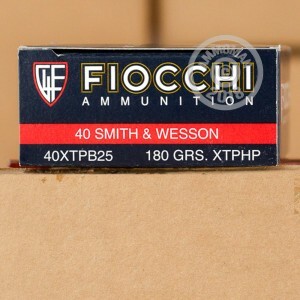 This economical .40 Smith & Wesson ammunition from Fiocchi features Hornady's XTP jacketed hollow point bullet, which is known for its high penetration. 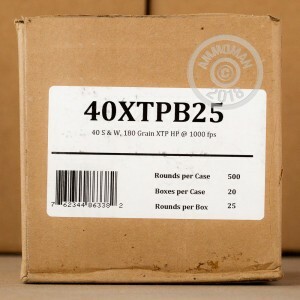 Each cartridge in this 25-round box fires a 180 grain jacketed hollow point bullet at 950 feet per second, producing typical ballistics for this caliber. 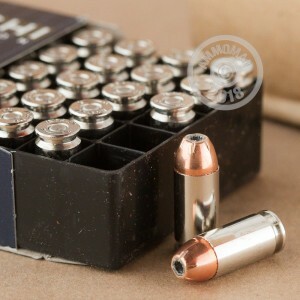 Place an order for $99 or more at AmmoMan.com and get free shipping on your entire order!